This refreshing water-type real mask, enriched with fresh moisture from delicately fragrant green tea, keeps dry skin moisturised. Green tea, recognized as an excellent tea for beauty and health, fully replenishes moisture on the skin to make it clean and transparent. 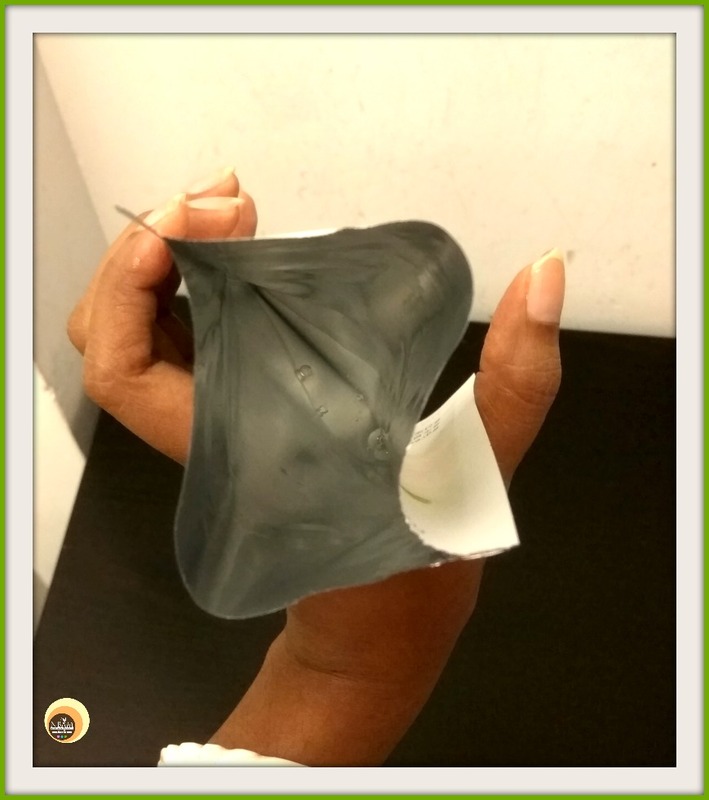 1)After cleansing use toner to refine skin texture,2) Unfold and place the mask on the face, avoiding eye & lip area, 3) Leave on for 10-20 minutes, 4) Discard the mask and gently pat for further absorption. A few months back, my skin was going through a terrible phase; acne, scars, allergy and what not, all thanks to PCOS & other internal health issues! Now the skin condition is much better, thanks to my family doctor and natural alternatives. Pimples are almost gone but now I am dealing with the scars! I stopped using all commercial skin care and hair care products at that time, but one thing I kept using was sheet masks. I used only those masks which contain the essential ingredients that fight against acne and soothe skin irritations. Green tea was one of them! Innisfree My Real Squeeze Mask Green Tea comes folded in a moisture-proof flexible pouch. To get the mask, you need to tear one end of the pouch. All details related to this mask are printed at the back of the foil bag. As this is a green tea mask, the product packaging displays all things related to green tea in simple white and green colour. The packaging is lightweight, leakage-proof thus travel-friendly. My Real Squeeze Mask Green Tea is a triple-layered, watery type sheet mask and is made of naturally-derived 100% cellulose fibre. The texture of this mask is soft and breathable. It has a mild, pleasant fragrance that fades away immediately after the application. After cleansing and toning the skin with the rose water, I gently place the mask on my face. The sheet has holes for lips and eyes area respectively but the size is pretty big for my small face. To be honest, no sheet mask fits my face!! After 20 minutes, I peel off the mask and gently pat my skin for better absorption of the essence. 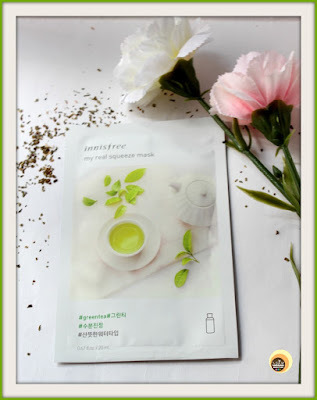 Innisfree My Real Squeeze Mask Green Tea is soaked in water type essence and feels lighter on the skin. The mask adheres to the skin nicely and provides a cooling, calming effect upon application. I always keep my masks in the fridge one hour before each use for extra cooling effect, though!! Okay, am looking like a zombie, I know!! Even though this is a fully serum-drenched mask, it’s non-dripping! Post usage, it feels slightly stickier than the Innisfree Skin Clinic masks but after a while, the stickiness goes away. This Green Tea mask is so hydrating. It moisturizes the skin pretty well and gives a nice glow instantly. Normally, I use a light moisturising cream or aloe vera gel afterwards. But when I use medicine to treat acne & rashes, I have to follow it with a thick, moisturizing day/night cream. You can see in the picture, a lot of excess serum is still there at the bottom of the pouch after taking out the mask. I always apply the remaining serum on my neck and hands!! A couple of times, I kept the mask for more than 25 minutes on my skin yet the mask was still moist. I didn’t need to apply the leftover serum from the pouch to moisturise my skin after removal! It doesn’t irritate the skin, rather soothes and calms down all skin irritations. However, it doesn’t work great on reducing the acne. The best part? This Green Tea mask is alcohol-free yet it gets absorbed into the skin quickly. It’s also enriched with skin beneficial ingredients such as Hyaluronic acid, Paeonia Suffruticosa Root Extract, a Chinese botanical herb which is known for its anti-oxidant properties, Centella Asiatica Extract – another herb with powerful anti-aging properties, German Chamomile (has soothing & calming qualities), Licorice root extract, Aloe Vera Juice, Citrus Unshiu Peel extract, best known for its revitalizing & moisturizing properties along with other ingredients having anti-inflammatory & anti-oxidant properties. However, the mask also contains Fragrance!! Innisfree has introduced a plethora of sheet mask varieties in its My Real Squeeze mask range. 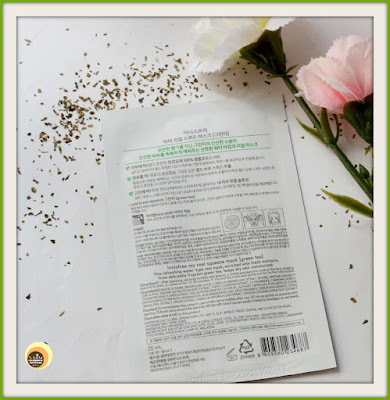 I use this alcohol-free Green tea sheet mask simply to treat the skin irritation & dehydration issues. Although this mask doesn’t work great on my acne, it’s amazingly hydrating 😊. 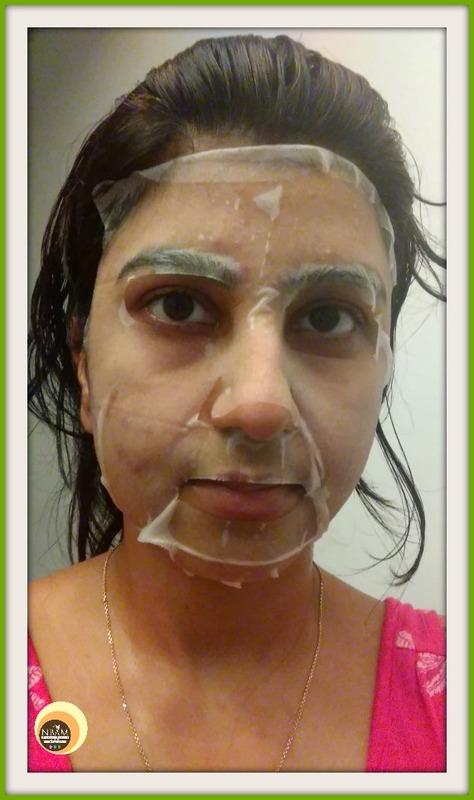 Give this a try if you are looking out for moisturizing sheet masks for your dull, parched and damaged skin. I would highly recommend this mask to everyone. 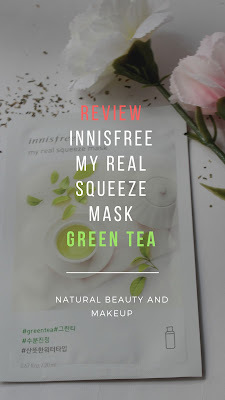 Have You Ever Tried Innisfree My Real Squeeze Green Tea Mask? If Yes, Please Share Your Experience With Us In The Comment Section Below. 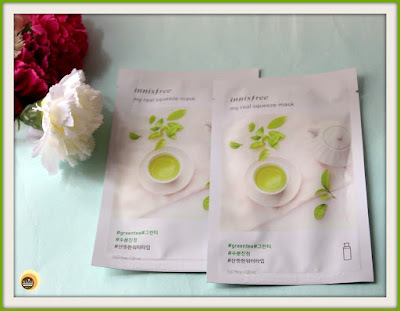 I love using sheet masks and this green tea mask sounds really tempting. I loved to know about so many beneficial ingredients in this mask. Need to try this out. 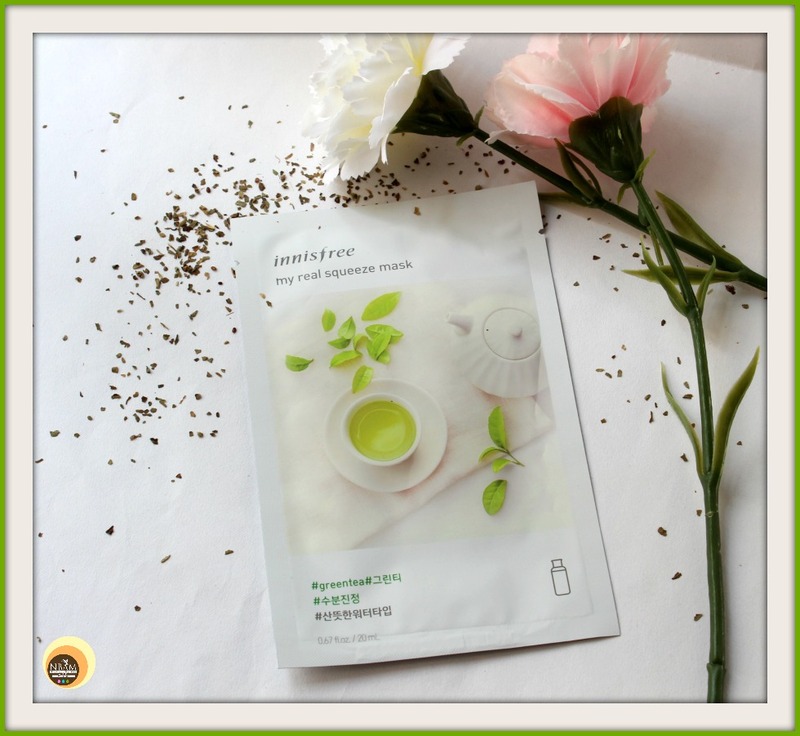 This sheet mask is great, you'll surely love it dear :) Thanks! Serious and me!! He he :D I know, you kinda hate korean skincare stuff :P Lol! Amazing article, Looking very beautiful. hope it well work.